Not long ago, I made a statement about 2015 being just okay. Then December and January came along to slap me right across the face. These Oscar Nominations are totally unexpected and just for me. Almost everything I wanted to happen happened. 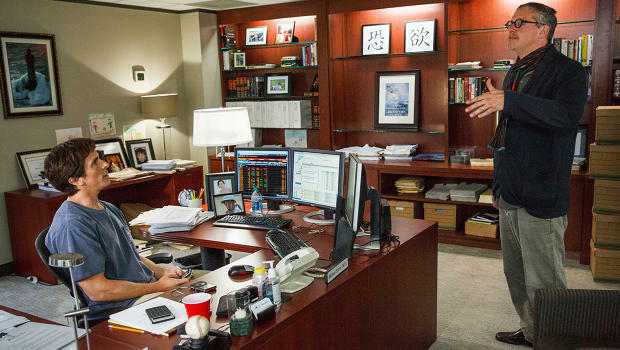 Now, I know you're all upset about the lack of love for Carol, but to replace that is some big time love for The Big Short, my favorite and, in all seriousness, the most important movie of 2015. This plays into why I love this year's nods so much. For everything it snubbed, it filled the gap with something equally worthy. Reaction #2: Lenny Abrahamson for Directing the brutal emotional ride of Room. I'm not sure if anyone saw this coming, but I had all but written this movie off as a contender for the big prizes. Lo and behold, it got plenty of love with a Best Picture nod as well. If anything, Abrahamson's film could've used one more here, a nod for the amazing young talent in its nine-year-old star in Jacob Tremblay. 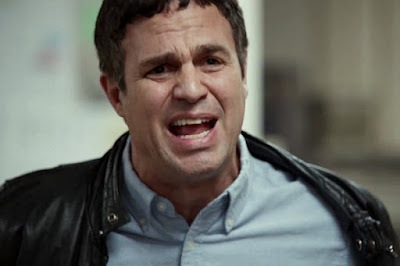 Reaction #3: The re-emergence of Spotlight as a major contender, especially with the nominations in the Supporting Actor and Actress categories for Mark Ruffalo and Rachel McAdams, respectively. 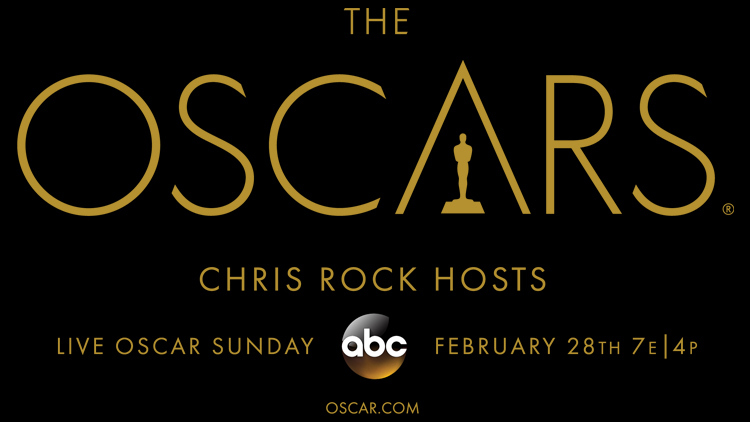 I did not see these coming at all, but I applaud the Academy here. Ruffalo is a fine choice. I loved his work in this film, as he provided a totally relatable emotional core. Reaction #4: How about that Cinematography lineup? Nailed it. All are deserving. I actually wondered if Robert Richardson would make the list, though I was wrong to even doubt it. His work on The Hateful Eight in that gorgeous 70mm (if you were one of those lucky enough to catch it) is nothing short of spectacular. It saved the movie from being a total disaster for me. Deakins for Sicario is a great nod as well. I hate that film didn't get more love, but it got it where it certainly deserved it. Ed Lachman's work on Carol. Beautiful. John Seale's work on Mad Max: Fury Road. Insane. And, then there's the presumptive back-to-back winner in Emmanuel "Chivo" Lubezki and his work on The Revenant. Money in the bank. Reaction #5: Likewise, the Original Screenplay category is perfect. No Tarantino? GOOD! It's also sort of correcting some wrongs in that several of the year's best films pop up here, films that should've probably been present in the Best Picture category. Most notable to that effect are Alex Garland's brilliant script for Ex Machina, the love for Inside Out (the truest, most relatable film of the year to not get a Best Picture nomination), and the simplicity of Joel and Ethan Coen's reworking of Matt Charman's loving screenplay for Steven Spielberg's Bridge of Spies. I still haven't seen Straight Outta Compton, and I'm sure white-wash conversation is already in play. But it's here, people, and rightly so, from what I've heard. Reaction #6: No Aaron Sorkin for Steve Jobs? YES!!!! It is just not that good. I was pissed when he won the Golden Globe the other night. He wrote two-thirds of a great movie, then got all wimpy at the finish. The tightness of that structure killed my enjoyment of that film to the point where its director, Danny Boyle, could do almost nothing in the way of saving it. It's a fine movie with stellar nominated performances from Michael Fassbender and Kate Winslet. It got what it deserves. Nothing more, nothing less. Reaction #7: Tom Hardy for Benicio Del Toro. Yeah. That happened. And I can't be bummed. Like I said earlier, for all the shock of some of the snubs (Del Toro being a huge one), I can't help but love what I feel is his replacement. Tom Hardy's work as Fitzgerald in The Revenant was every bit as menacing, if not more so, than Del Toro's work as Alejandro in Sicario. It's bittersweet for me, as I predicted Del Toro's name on that ballot in my review of the film, but I just can't complain. We traded a badass villain for another here, and that's just as well. 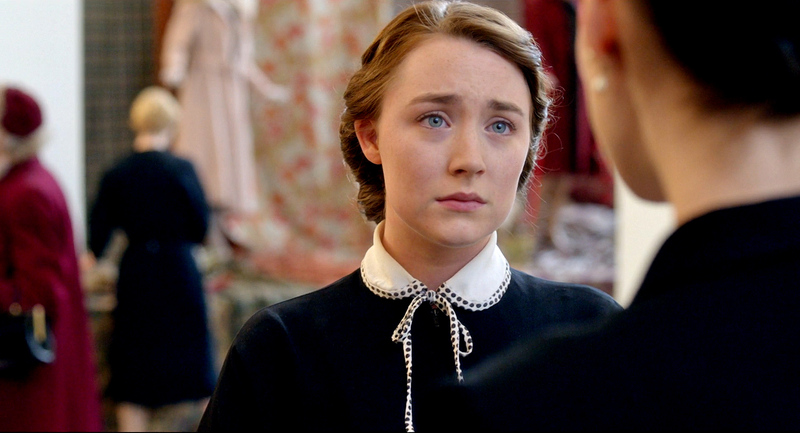 Reaction #8: Saoirse Ronan in Brooklyn!!!!!! Everybody knew it would happen. I still love it. And I have nary a clue how Actress in a Leading Role is gonna play out. Probably Brie Larson, and I'm fine with that. 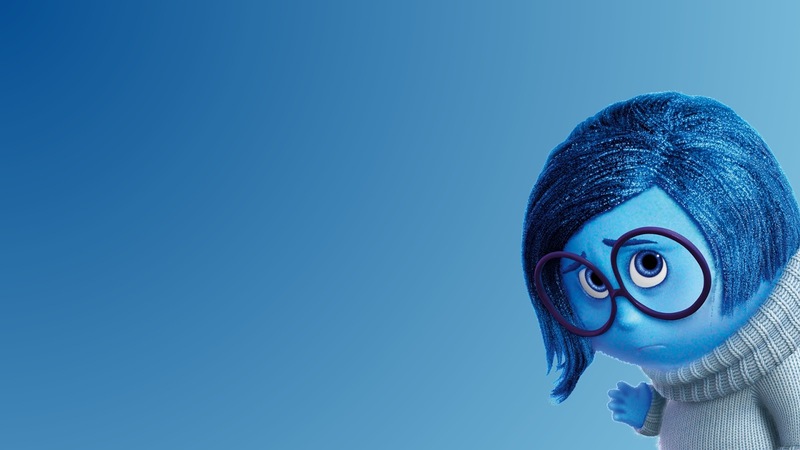 Inside Out should be in the Best Picture lineup. That is all. I hope Hardy takes it. He did a fine job. The Martian is a solid movie. Reaction 1: Definitely agree with you. Reaction 2: I didn't consider Abrahamson in the runnin for a nomination. Big surprise there. Would have nominated Ridley Scott over him, though. Reaction 3: I agree, but I think Spotlight is this year's Boyhood: frontrunner for a long time, but then loses out to another film. I think the film that could take it could either be The Big Short or The Revenant. Reaction 5: Tarantino should've been nominated. I liked Ex Machina, but I just thought The Hateful Eight had the better screenplay. Reaction 6: AARON SORKIN SHOULD HAVE BEEN NOMINATED! STEVE JOBS IS THE BEST FILM THIS YEAR! Oh, sorry for my Steve Jobs fanboy moment. But I think he was snubbed. Reaction 7: I would've nominated Jacob Tremblay instead. He would've been my pick instead of Tom Hardy. Reaction 8: I want Saoirse Ronan to win, but I'll be happy with a Brie Larson win. And I think Inside Out should've been he 9th nominee, & Carol should've been the 10th nominee. The Academy should make it a strict 10 nominees for Best Picture. Oh, Steve Jobs. It was almost great. I agree with you on the number of nominees. I've talked to others about this before. The Academy needs to either nominate 10 or go back to 5, nothing in between. I love Saoirse so much. I want her to win it all, but I know Brie will, and I'm happy with that too. I'm happy for Ex Machina's screenplay nod too, and I'm kind of shocked Jobs and H8 weren't in there. Thanks! Glad we agree on so many fronts. I think you know I agree with these, especially Inside Out not getting in the Best Picture race. So glad Hardy got nominated, he was amazing in The Revenant. On the flip side, Im actaually in the camp that loved both Steve Jobs and The Hateful Eight so Sorkin and Tarantino missing are two really big snubs imo. And Straight Outta Compton? really? It almost feels like they just wanted to keep Tarantino out because the writing wasnt nearly the best thing about that movie. Yes. Hardy was amazing. At least they showed Straight Outta Compton a little love. I haven't seen it. Steve Jobs and The Hateful Eight were two of my most anticipated of the year. Both huge letdowns for me. Your final comment is so true it hurts. Oh, the truth! Oh, the pain!